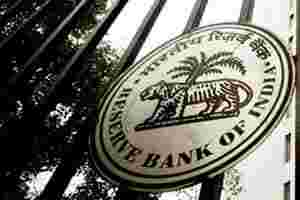 Mumbai: The Reserve Bank of India (RBI) is in the process of directing banks to stop charging penalties for repayment of home loans ahead of schedule to ensure a level-playing field between banks and housing finance companies (HFCs), a person familiar with the development said. RBI’s move follows a similar directive to HFCs by their regulator, the National Housing Bank (NHB), earlier this week. In September, the Indian Banks’ Association (IBA) lobby group wrote to RBI arguing against the removal of advance payment charges, fearing mismatches in liquidity. The action point in question said: “Banks must not recover prepayment charges in floating rate loans." “Both banks, as well as HFCs, will have to waive the penalty on prepayment of loans. They could be given some time to do so— maybe from January or April 2012—but there will not be any change in the regulator’s stance on prepayment of loans," said the person who did not want to be identified as RBI has not yet issued the directive officially. The move is aimed at increasing “transparency and certainty" in the housing finance market, said NHB chairman and managing director R.V. Verma. “Home loan is (for) long term and the situation can change over the period of the loan, exposing customers to risk. This will give customers a choice," Verma said. “We believe these norms must be adopted by the whole industry, including banks, because it will even help lenders by increasing competition. We are in touch with RBI and they have a positive view on this." Banks usually charge 2-4% of the loan outstanding as early repayment charges from mortgage holders. The waiver of the advance payment penalty may encourage customers to migrate to entities that offer cheaper loans. Early repayment charges allow banks to offer competitive loan rates, analysts said. At least 95% of home loans bear a floating rate of interest, according to RBI. Bank rates and costs are still lower than those of HFCs, which will help them stay competitive, said R.K. Bakshi, executive director at Bank of Baroda. “People who come to banks for loans will continue to do so because rates are lower and relationships are also long-term," he said. “The situation is still fluid on whether RBI will extend the ban in prepayment to banks." The lifting of the advance repayment charge may not lead to vast numbers of mortgage holders switching lenders. “Just because the prepayment penalty is removed, there is not going to be an exodus of customers from one bank to another because it has more to do with the relationship and pricing of the loan," said a senior banker, who did not want to be named. “As far as banks are concerned, we prefer a liberalized environment where market forces can fix a reasonable rate. However, if the regulator imposes it, there is no other option, but to follow the suit." Earlier this week, NHB directed HFCs not to levy penalties on the early closure of floating-rate home loans, even if the repayment was made through borrowed funds. A year ago, NHB initiated the process by getting HFCs to allow home loan consumers to repay early through their own funds without any penalty. HFCs say the change will not affect them either financially or by way of customers migrating elsewhere. Housing Development Finance Corp. Ltd, the country’s biggest HFC, said early repayment charges account for only Rs17 crore of profit after tax of Rs1,815 crore in the April-September period. “Even if the penalty is waived, closing a loan and taking a new loan is considered very tedious. Besides, there are other costs such as legal and technical fees. All these years, even when aggressive players like ICICI Bank Ltd came with new products, there were not many changes," said Prashant Chaturvedi, general manager (finance and resources) at Dewan Housing Finance Corp. Ltd.
Dinesh Unnikrishnan contributed to this story.